To modernize your kitchen cabinets consider using the Liberty Chrome II Collection 3 in. Satin-Nickel Dual-Mount Step Edge Pull. This pull is made of die-cast zinc. This dual-mount pull measures 3 in. from center-to-center. The Liberty Chrome II 3 in. 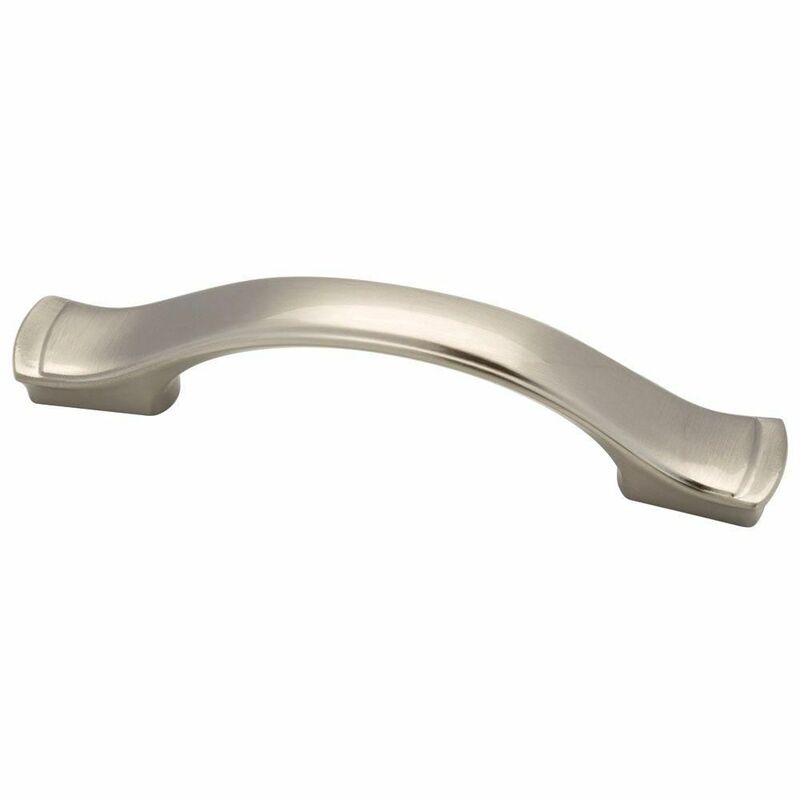 Satin Nickel Circus Pull features elegant lines and a distinctive finish to add contemporary style to cabinets or drawers. Ideal for use as an accent for kitchen or bathroom cabinetry or furniture. Mounting hardware included for easy installation. 3 /96mm Step-Edge Pull To modernize your kitchen cabinets consider using the Liberty Chrome II Collection 3 in. Satin-Nickel Dual-Mount Step Edge Pull. This pull is made of die-cast zinc. This dual-mount pull measures 3 in. from center-to-center. 3 /96mm Step-Edge Pull is rated 4.7 out of 5 by 31. Rated 5 out of 5 by Allen from Along with knobs on cabinets, they give the renovated kitchen... Along with knobs on cabinets, they give the renovated kitchen a very nice look. Rated 5 out of 5 by SatisfiedCustomer from Home Depot shipped exactly what I ordered. The cabinet hardware... Home Depot shipped exactly what I ordered. The cabinet hardware have been installed and all compliment the cabinets well. Rated 5 out of 5 by krodo57 from These matched well with our new bathroom cabinets!... These matched well with our new bathroom cabinets! Rated 5 out of 5 by Jakalyn from I love the hardware! Only issue was the longer... I love the hardware! Only issue was the longer screws were too long, but our cabinet guy had the right size with him, so all good. They look great.